It’s a great idea: an historical novel about Lucy, everyone’s great-to-the-Nth-power grandmother. I loved Twenty-Four Days, and plan to bump this to the top of my reading pile. My father, Clayton Tuggle, passed away this Saturday. 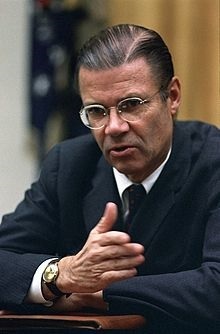 He was the most decent man I ever met. My brother and I, who knew nothing of war except for what we saw on TV and in the movies, never could figure out why he wouldn’t talk about his experiences in the Navy in WWII. 50 years after he hung up his sailor’s cap, he went on a local talk radio station and took questions for two hours. Then he gave me and my brother a handwritten account of the Battle of Okinawa, which I transcripted. G.P. 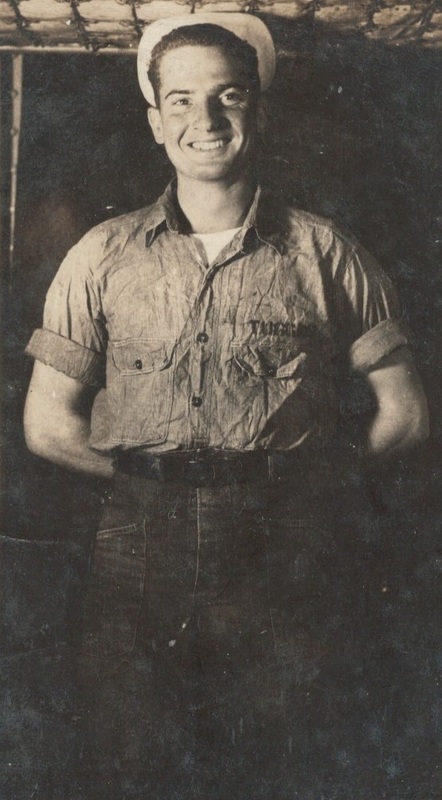 Cox of Pacific Paratrooper kindly posted my Dad’s story on his excellent WWII blog. Please read this, and remember our WWII veterans. Thank you. My interest in primitive weapons — essential lore for any sci-fi/fantasy writer — began when I first found arrowheads in the freshly plowed fields on the tobacco farm where I grew up. From my first encounter with them, these amazing artifacts exerted a hypnotic fascination over me. After all, they were survivors from a past unimaginably different from my own world. 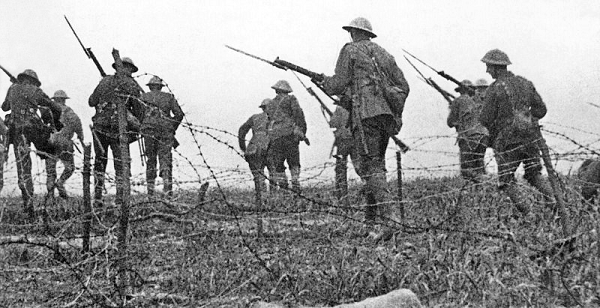 They were weapons that were essential for survival, and at the same time, beautiful works of art. Although we tend to associate American Indians with the bow and arrow, they didn’t develop that weapon until about 500 AD. 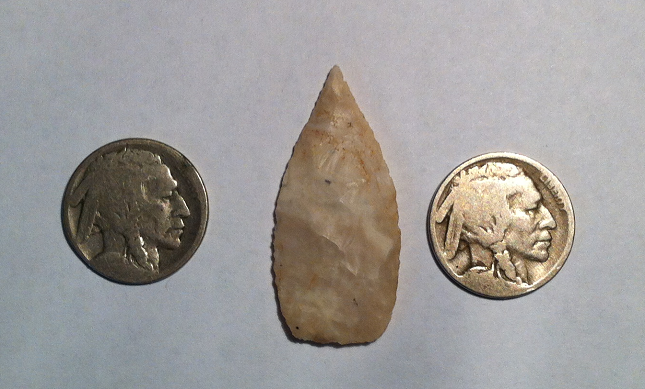 In fact, “arrowheads” or, as archaeologists prefer, “projectile points,” tend to be quite small. And a hickory bow couldn’t generate the potential energy required to kill a bear or cougar — much less a mastodon. 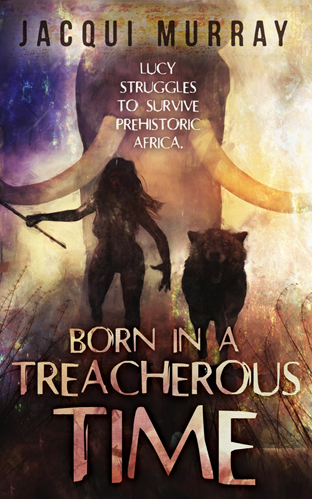 Larger game required a powerful weapon, and the atlatl fits the bill. North Carolina’s Sissipahaws, Catawbas, and Tuscaroras mastered this ingenious and tricky weapon. I’ve made and used atlatls, and believe me, they have a long learning curve — harder to learn, in my opinion, than the sling. They’re easy to throw but require many weeks of practice to learn to aim properly. Think of it as a custom-made lever for throwing darts. The power of an atlatl must be witnessed to be believed. The Clovis point, as illustrated in the first photo above, dates to between 10-15,000 years ago. It was introduced into North America with the migration of the Clovis people who continued down into South America. As the migration of Siberian peoples continued in the Americas, local cultures arose, which produced their own unique weapons. 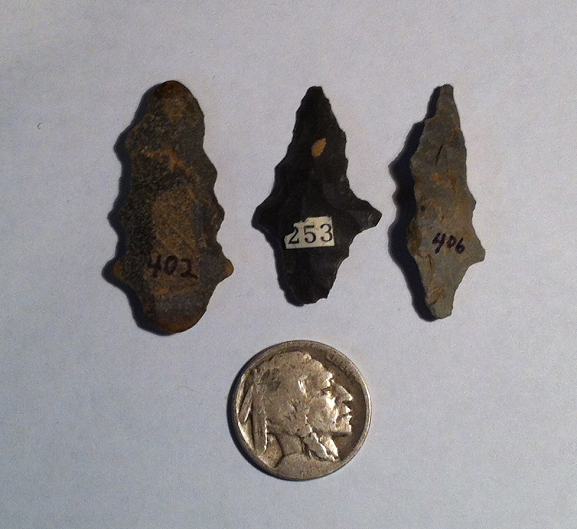 Over time, projectile point styles changed. When I visited the National Museum of Anthropology in Mexico City, my favorite display was an arrangement of flawless points sorted by time period. 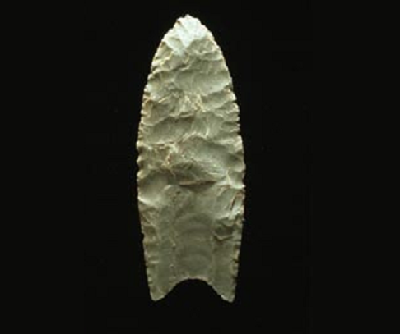 Clovis points came first, followed by styles that resembled those that immediately evolved from the Clovis in North Carolina, which in turn were followed by styles distinctly different from anything I’d ever seen. So once you’ve identified a point’s style, you know its approximate age. This seemingly delicate creation was meticulously formed using pressure flaking, a slow process of sharpening the edge by pressing it with a pointed instrument, as opposed to striking the point. Its perfect proportions ensure a smooth, accurate flight. Not quite as elegant as their ancestors, are they? American Indian weapons have popped up in some of my works, including Gooseberry and Aztec Midnight. There’s a raw, elemental allure to primitive weapons that’s inspired many works of fantasy fiction. Learning about them connects us to a past that deserves to be remembered.